If you’re looking to add some romance to your Friday evening, look no further. 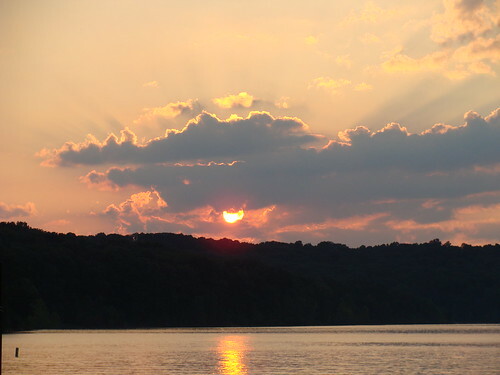 Patoka Lake Marina is offering a series of wine cruises this summer that promise to be relaxing evening getaways. Hop on the boat at 7pm for a 2-hour tour of the lake that includes a view of the sun setting on the water. While you cruise, enjoy a glass or two of wine from an Indiana winery paired with local hors d’oeuvres and desserts. You will also receive a tasting glass as a souvenir. Whether you take the cruise with a group of friends or that special someone, you can’t go wrong with Indiana wine and cheese and a trip around Indiana’a second largest reservoir. Hear the soothing sound of water lapping against the boat as you enjoy a priceless sunset view. Tours depart from the Patoka Lake Marina dock on the second and fourth Fridays of the month, June-September. The cost is $75 per couple or $39.95 per individual. Reservations are required and can be made by calling 888.819.6916. ext. 101.